Now that we have a metric, let's examine the worst case scenario.Asymptotically, the queue can be split at most $n$ times for $n$ elements. This is because for every split, the splitting process will always keep at least one element to process.No matter how the work is distributed amongst the processes, the pending work of a process decreases by at least one unit after a queue split. If we assume that there are $p$ processes and each process consumes one unit of the $n$ initial work units between two consecutive splits of its queue, then the work to be done decreases by at least one for each queue split. This in turn implies a reduction by $p$ units over $p$ processes after their corresponding queue splits. The communication cost is dependent on the queue splitting, since every queue split implies two communications (a request and a reply). We can safely assume that the distributed algorithm can't really get much faster, because the graph above shows that the vast majority of the execution time is spent in system calls to lstat and readdir as it should be. Additionally, the same amount of work could be accomplished with far fewer resources, as shown in the first graph. If you've ever put 'too many' files into a directory, then you know what happens when you type ls -l (long listing). Each file's attributes must be read using the stat system call so that the file's attributes (metadata) can be displayed in the output. Calling stat for hundreds of thousands of files can take a very long time (depending on the filesystem). Large filesystems can contain millions or billions of files inside of many directories. When I worked at the Los Alamos National Laboratory, we had several large parallel file systems attached to multiple supercomputers. These parallel file systems were used as fast, temporary storage for jobs running on the supercomputers. Users were expected to migrate their data to a more reliable (slower) file system when they were done with it, in order to free space on the parallel file system for other users. We observed that more often than not, users didn't even know how much space they were using on the parallel file system. To make matters worse, the standard tools for finding that information relied on calling stat serially. If you give a scientist 100,000 processors, they will write 100,000 files over and over again. This is the first part of the story of how a distributed, randomized file tree walk algorithm was developed. I use Ansible to configure my instances on EC2. I often need to include passwords, SSL keys, and other sensitive data that doesn't belong in source control. AWS allows you to include user-data when launching an instance. You can include arguments to your instance in the user-data field (as JSON for example), or you can include a script to bootstrap the instance - but not both. Since I use Ansible to configure an instance from scratch, I use a user-data script to install Ansible. The problem is actually a little more complicated because I launch my EC2 instances from within a CloudFormation template, and I use Fabric to generate and run the CloudFormation template. Additionally, I have to abuse Ansible to use it in my workflow. Ansible is easy to dive in to, butone of the first things you do is define an Inventory, whichis basically a list of hosts to be managed with Ansible. Great, right? No. This is a problem for me because I never know the IPs of machines I plan on configuring beforehand, because they are all provisioned on demand (I don't want to manage my instances centrally anyway).Ansible includes an EC2 Inventory script whichclaims to solve this, but really just introduces more problems. One big problem, is that Ansible queries information about instances many times when running a playbook, so many times in fact that the EC2 inventory script has to include a cache that stores instance information locally in a file. The documentation actually recommends a cron job to refresh the cache. Now, complexity has been added and we no longer get current information about instances. We can do better than this. I almost gave up on Ansible at this point, but then I discovered Pull mode playbook, which is a shortcut for cloning a git repository of playbooks and executing one whose name matches <server-name>.yml or local.yml. This is a step in the right direction, but there are still a couple of problems with this approach. I either have to make a <instance-ip>.yml file for every instance I create in my playbook repository, or I create a separate repository for every type of instance with a local.yml in it - in which case I don't get to reuse any of my Ansible code. At the end of my Ansible playbook, my application is started in the same environmentas the playbook - so that the environment variables it needs are present. The approach above works fine for passwords, string keys and such - but what about files? To begin with, I store them in private S3 buckets. One easy way to give bucket accessto an EC2 Instance is through IAM Roles.I don't want to provide persistent access to my private bucket however, I just want to give the instance access long enough to provide access to what it needs on startup. Luckily, S3 has a mechanism for pre-signing URLs which included a timeout. This allows you to generate a URL that can be passed to the instance onstartup, but will expire. The philosophy behind Tastypie is that resources should be able to be round tripped. That is, you should be able to serialize a resource (to JSON for example), sendit to a client, and the client should be able to send that object back (possibly with changes), and that serialized object should be able to be reconstructed backinto a resource. Resources being sent to the client are 'dehydrated' and serialized objects being sent from a client are 'hydrated' into Resource objects. Note: If you are not familiar with Django models,work through this tutorial. The above code creates an api using the provided resource_name. 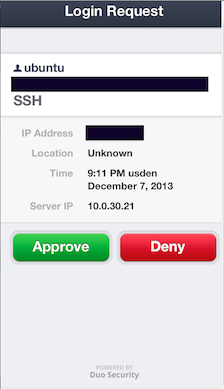 Tastypie comes with built in supportfor HTTP Basic Authentication (never use basic without SSL! ), and Django Authorization. This allows usersto include HTTP Basic Authentication credentials with every request, so that all the state needed is included in the request (rather than relying on a session). The DjangoAuthorization included with Tastypie uses the built in permissions and authorization framework built into Django to authorize operations on objects. Tastypie is careful to return the proper HTTPstatus codes if authentication or authorization fails (and other conditions too). The ModelResource class that NoteResource inherits from is a Django model specific subclass of the Resource class mentioned above. It automatically maps HTTP GET, PUT, PATCH, and DELETE requests to the appropriate Django ORM operations. The above code wires up the NoteResource API URLs. By default, Tastypie includes URLs for listing resources end points in the API, listing resources (with pagination) for each resource, and the schema for each resource. I have included the 'v1' argument as a version number to the API. We can consume the REST API from any HTTP client. For this example I use python-requests. The URI /api/v1 is a top level view of the API, and from it we can discover the URIs to all resources included in it. We can look at the schema for a resource to see how it is structured. This response tells us quite a lot about the API for this particular resource. The first two entriestell which methods are allowed for list and detail views (a list of object vs an individual object). The methods for NoteResource are defaults which we could easily override. The default_limit tellsus how many objects will be returned per page. The fields data contains the name and detailed attributes of each object field. The above code is all that is needed to create a note! Now when we query the API we can retrieve it. The response contains two top level objects. The meta object contains the total number of objects, the offset to the current page, and URIs to the next and previous pages if they exist. The objectsobject contains the list of objects returned for the current page. The API also accepts paginationarguments. You can also filter objects with the API (it must be enabled for the resource) using Django ORM-like filters. Do you need to validate user input? Just add a validation attribute to your resource. Tastypie can also work with non ORM resources. All you need to do is provide a subclassthat implements the methods that Tastypie needs for creating, updating, and deleting objects.Below is a stub of such a subclass with the method documentation strings explaining what each needs to do. that can be used to uniquely identify the object. Testing with Tastypie is really straightforward. In fact, it's author firmly believes in test driven development. Tastypie comes with a full featured test client for interacting with the API in test cases. It would be superflous to add code here, as the official documentation has a full code example: link. There are many features of Tastypie that I didn't discuss here, so you should read the docs if you want to know more!